Center for Sportfishing Policy will focus on boating and fishing issues at its Center Focus on Washington event in Washington D.C. The Center for Sportfishing Policy is welcoming six new members as it heads to its annual “Center Focus on Washington,” during which recreational anglers and boaters participate in discussions with key policymakers during a three-day meeting on Capitol Hill. The CSP’s annual fly-in May 9-11 is timed with the American Boating Congress, hosted by the National Marine Manufacturers Association. The six new members of the Center for Sportfishing Policy are 3A Composites, Flir Maritime, Garmin, Owens Corning, Southeast Building Solutions, and Yellowfin, according to the CSP. 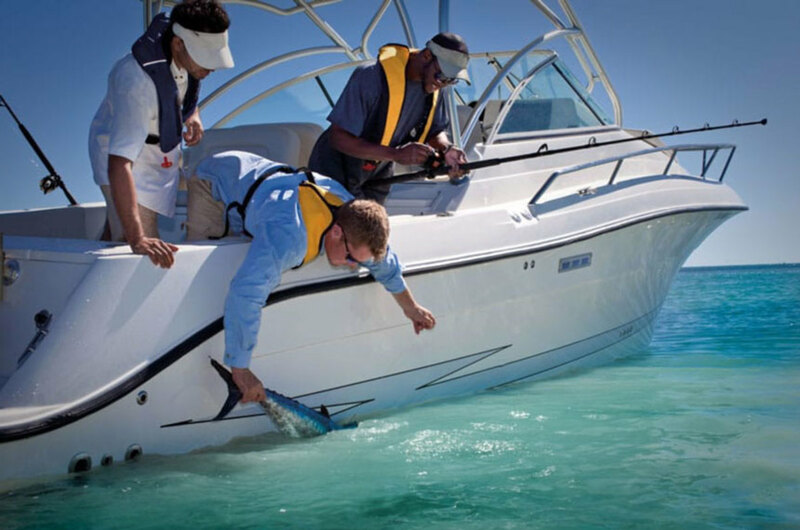 Key issues for ABC and Center Focus participants include passage of the Modern Fish Act, which would amend the Magnuson Stevens Act to differentiate between commercial and recreational anglers in federally-managed saltwater. The bill is expected to move through the House and the Senate this spring, American Sportfishing Association president Mike Leonard told Trade Only Today. It’s important to not only realize how significant the legislation is, but also for people to understand that it’s not an overhaul of federal marine fisheries management, Leonard said. The group will also try to ensure “robust public access” to federally managed waters; will continue to build on progress made addressing angler frustrations including red snapper management; and will seek to reform the renewable fuel standard.